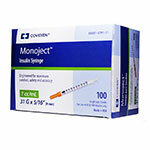 When it comes to your health, you deserve a trusted name for your diabetes management. 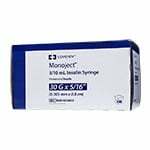 A respected name on the market for their commitment to high standards and easy to use solutions, Monoject offers peace of mind with products that are safe and effective. 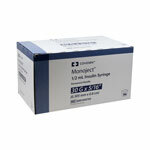 We offer a diverse selection of Monoject products to help make your health easier to manage with a new sense of confidence. 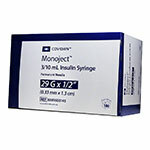 Made with safe and sterile materials, Monoject insulin syringes are designed to work with U-100 insulin. 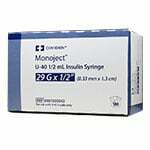 The syringes are available with 28, 29, 30, 31 gauge needles which offers a great diversity when shopping for this essential item. The barrels of the syringes are offered in 3/10, 1/2, and 1 cc and they feature needle lengths of 1/2 and 5/16 inch lengths to accommodate all body types. 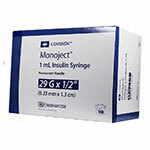 They also offer a 1/2 unit syringe for smaller, more precise insulin administration. 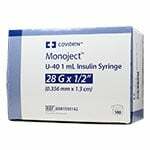 Our inventory carries all the different specifications you need when shopping for insulin syringes from this trusted name on the medical market. Choose from several sizes in terms of quantities as well to ensure you always have enough of these one use items on hand. 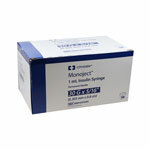 All Monoject insulin syringes are individually wrapped to ensure that they are 100% sterile until opened. 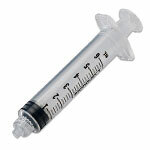 The syringes are latex-free and offer silicone lubricated barrels which allows for a smooth and clean injection. 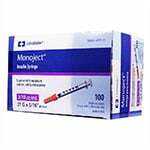 The needles used with these syringes feature an Ultra Comfort, tri-beveled point which produces a consistent and sharp needle for maximum comfort. These high-quality insulin syringes are disposable and should only be used one time and then discarded. If you have any questions regarding these products before purchasing, please contact us for further assistance. 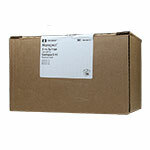 We are always happy to answer any questions you may have pertaining to the products we offer. Please note that you are should always consult your healthcare provider before using this type of product to ensure it’s the best option for your needs.